Three years after President Hamid Karzai appointed a commission to investigate a mass grave site in the Chimtala plains, north of Kabul city, the site, the commission and the truth are missing. Commission chairman Mawlawi Fazel Hadi Shinwari has been in a coma in hospital in India for over eight months, according to government officials. “I have no knowledge about the commission and its work,” said Mawlawi Qiamuddin Kashaf, acting chairman of the Ulema Council which was also headed by Shinwari. Officials in the President’s Office were also unable to shed any light on the commission’s findings. Dozens of mass graves have been disturbed or destroyed over the past eight years, and with them crucial evidence about atrocities committed and their perpetrators, human rights groups say. “In some cases, people have deliberately tampered with or destroyed a mass grave in order to hide criminal evidence,” Afghanistan Independent Human Rights Commission (AIHRC) official Ahmad Nader Nadery told IRIN. The best way to ensure NGO staff safety? Analysis: Humanitarian space easing in Afghanistan? Numerous human rights violations, including mass killings, have been committed by various warring factions since 1979, but no proper investigations of the graves have been carried out. Officials estimate some graves contain hundreds of bodies, and one in the eastern province of Kunar has over 1,100 bodies, according to the AIHRC, which said it had registered at least 118 mass grave sites. A mass grave in the Dasht-e-Lailee desert in Jowzjan Province, where the bodies of thousands of Taliban prisoners were reportedly dumped in 2001-2002, was allegedly tampered with by Uzbek warlord Gen Abdul Rashid Dostum in 2008. Despite denials, Dostum has been accused of killing thousands of Taliban prisoners when he helped the US-led coalition overcome the Taliban in northern Afghanistan in 2001-2002. Dostum is a close ally and senior military adviser to President Karzai. 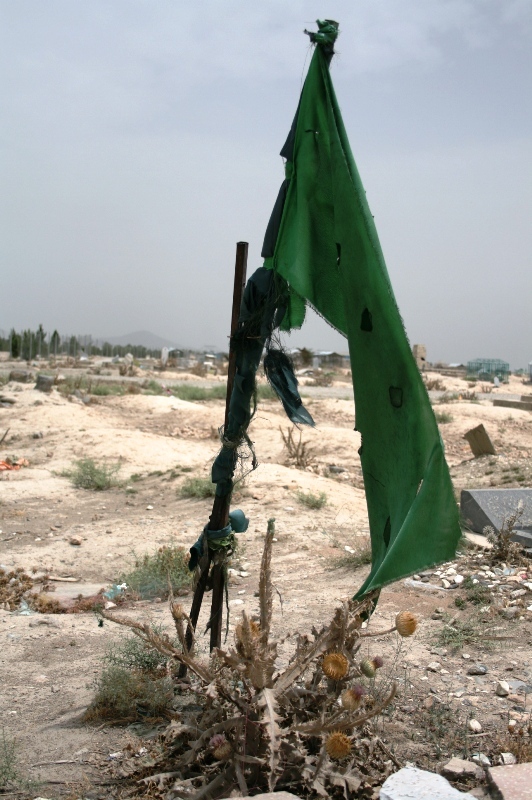 The disturbance of the burial site in Dasht-e-Lailee was widely condemned by human rights groups. Physicians for Human Rights (PHR), a US-based organization, called on the Afghan government and its foreign supporters to preserve the sites. “Our calls were never heeded and it led to the destruction of an area where we suspect there are mass graves… and even that has not been investigated,” Stefan Schmitt, a PHR forensic expert, told IRIN. He said a lot of powerful people, some of them in high government posts, were involved in past crimes in Afghanistan and they do not want the truth to come out. “One can attempt to destroy evidence but cannot wash away a crime forever,” he said. A senior UN official said in December 2008 that the UN was committed to helping the Afghan authorities preserve such sites in order to protect evidence of crimes. The official deadline for the implementation of the action plan expired over two years ago and Karzai has refused calls to renew it. An overwhelming majority of the over 4,000 people interviewed by the AIHRC in 2005 said human rights violators and criminals must be brought to justice. However, there is a lack of political commitment to conduct the necessary investigations, experts say. “Individually people want to find out about their victims and seek justice but officially this has not been possible so far,” said PHR’s Schmitt. “Regardless of their importance for the transitional justice process - which is very important - mass graves are an inextricable part of our brutal history and must be protected out of respect for the victims,” said AIHRC’s Nadery. No peace is viable without justice, and over 76 percent of those interviewed by the AIHRC in 2005 said justice would bring stability and security, which has deteriorated since the fall of the Taliban. Many powerful criminals have not been brought to book, undermining peace efforts, experts say. Complicating any future investigations is the fact that while the motives for tampering with the dead may be criminal, they are not necessarily so: In some instances, local people, searching for lost family members, have taken bones from mass graves and buried them elsewhere. Collective reburials of human remains have also been reported in some areas at the behest of local Islamic leaders.